Even after few weeks into new academic year your preschooler struggles to adjust to the school. It is really hard to leave your child sobbing at the door of the classroom each morning, even when you very well know that he’ll soon get mixed up in the vibe and have good time without you. Here are few things that can help ease the separation and makes things easier for both of you. Children are smarter than you think, and quickly catch non-verbal clues such as your anxiety or uncertainty about the classroom, teacher or decision of leaving him at school. Stay calm and confident about your decision. You’re right. Undoubtedly, preschool is one of the best places for your child to learn, grow and develop new, fulfilling relationships with new people. Children thrive on routine and that is what keeps them going throughout the day. Make a consistent morning ritual –eat breakfast together, packing the lunch, prepare him for school, a jolly departure from home and greeting the teacher before bidding adieu to each other. You might be only adding to the problem if you think you should stay in the class with your child for a while and then go. He needs to know how separation works. Give him a goodbye hug or kiss, assure him that he is going to have a wonderful time in school and you are going to return soon. After all of this, promptly leave that place. Staying there will only hurt more. Your child needs your assurance before you leave. If you leave without saying goodbye or something similar then you will worsen the separation and it will be hard for him to move on. Send a symbol of your assurance. You can hand over a transitional object to your child for comfort, says an expert. The object could be anything such as a family picture, favorite stuff toy, a lovely blanket etc. You have to be certain that the teacher’s policies allow children to keep their belongings.Some teachers have a rule of putting the belonging in a locker or school bag and allow your child to visit it whenever needed. Discuss about your child’s reluctance towards leaving home for school or his anxiety to leave you. If she understands how your child feels then she must be ready to assist you with the separation and provide additional comfort. During the training, teachers are taught a lot of effective strategies for every problem related to the children. 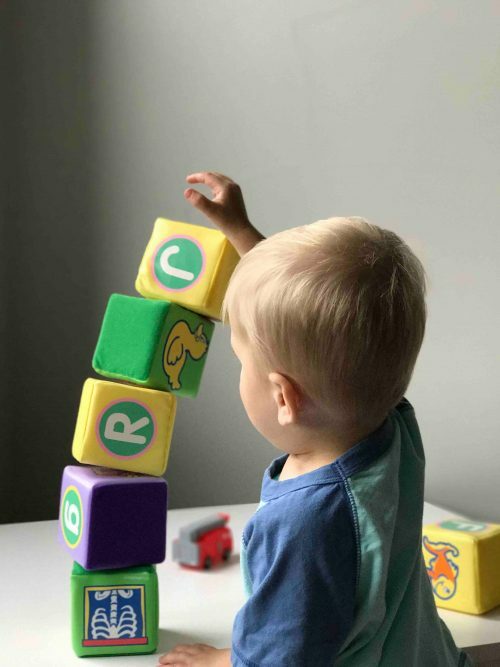 It could be a special activity ready for your child, placing aside a favorite toy for him, giving extra attention with the help of a helper or creating an engaging ritual to start the day. We know that it’s tough for you and your child and sometimes a very big transition. Your child has his own pace to adapt to change and yours is different. Your reassurance, patience and consistency will surely help them make a good transition and have a wonderful learning experience.